See how wine is made and try some new wines when you visit one of the many Missouri wineries. Take a tour of the vineyards or participate in a tasting class. When you spend the day at one of the wineries in Missouri you will have a relaxing day filled with fun! Check out our complete list of the best wineries to visit. They produce and market the finest wines that can be made, using French-American hybrid grapes such as Vidal, Chardonel and Vignoles. 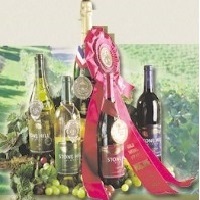 Stone Hill Winery makes elegant, sophisticated, mature, honeyed and focused wines. Today Stone Hill Winery is the winery that will lead as one of the world’s best wine regions. Stone Hill welcomes visitors with open arms and an accommodating staff. You will experience the uniqueness of a winery and find good ideas for a gift for your loved ones. What you waiting for? 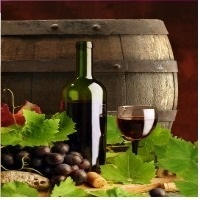 It's a wonderful moment to visit one of the famous wineries in the world with reasonable prices. 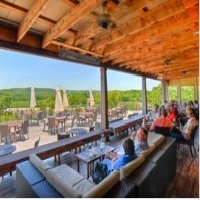 They also offer a Vintage Restaurant with a unique structure that caters and can accommodate thousands of lucky diners Serving contemporary world cuisine, they also have specialties of German Cuisine paired with the famous wines of Stone Hill. 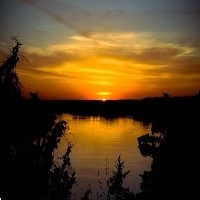 Experience the warmth of Mother Nature's finest work, the Missouri River, paired with their famous wine collection, Chambourcin, Vidal Blanc, Sweet Traminette and Merlot. Les Bourgeois Winery was started in 1974 making homemade wine. Bourgeois family decided to develop their business by owning wine making equipment, crusher, fermentation tanks, and a small bottling line. They also maintained better control over fruit quality, and are less dependent on their growers to assure the quality of their grapes. Les Bourgeois Vineyards is the third largest winery in Missouri. Today Les Bourgeois Winery offers different collections of wines with unique flavors, aroma blooms and bold tastes. They also offer a VIP Wine Club, your membership includes two bottles of premium wine each month at a 40% discount, winemakers notes, and a specialty recipe to complement each wine. Members are also eligible to receive discounts and special offers throughout the year. If you plan to visit them don't forget to join their Les Bourgeois membership. Wine makes an excellent gift! Blumenhof Winery is one of a voluptuous young beauty that may arouse you with a ravishing scent and rich, ripe, succulent fruit flavors. 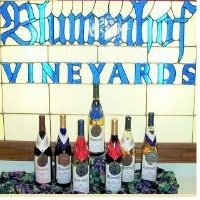 Blumenhof Vineyards and Winery was established in 1979 in Missouri. The first vintage in 1986, Blumenhof had been dedicated to producing and bottling an unsurpassed selection of Missouri grown varietal wines. After a year these wines won awards at prominent wine competitions. In this competition they received seven gold medals, Florida State Fair, International Eastern Wine Competition, Los Angeles County Fair, Missouri State Fair, National Orange Show, Tasters Guild International, New World International Wine Competition and San Diego National Wine Competition. Blumenhof Vineyards grows different grapes like chambourcin, chardonel, cynthiana, rayon d'or, seyval, valvin muscat, vidal and vignoles. Blumenhof Vineyards produce a unique wine, quite rare, a wine that has a luscious floral aroma and fruity flavor. From Humble beginnings comes a great little winery, that's how they got started! A little dinner, little wine lots of laughter and memories with good friends and families. They've been really busy working their brains with all the decisions to be made. 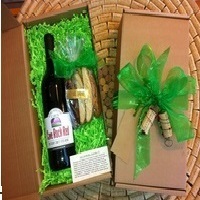 What better way to surprise someone than by sending the finest personalized bottle of wine? 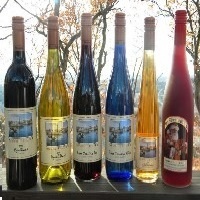 Little Hills Winery in Missouri has a unique blend of wines. Simple, ripe, noble, mature, light, honeyed and fresh fruity aroma. You can also personalize your bottle for any occasion. Perfect for weddings, anniversary gifts, valentines message, birthday message, congratulatory message or just for fun to express your love. It's a pleasant way to approach your loved ones, by giving them a glass of wine. Mount Pleasant Winery in MO offers exquisite and unique wines. Owned by two brothers from Germany, George and Frederick Muench, they established winery as a commercial business. The beauty of the rolling hills of MO River valley reminded them of their own homeland and showed exceptional potential to make excellent wines. Noble, neutral, piercing, rich, sparkling, smooth, elegant and fruity aroma. Mount Pleasant Winery offers something special, grapes that can flourish in the topsy-turvy weather, something subtle and true that you can taste in every glass. Experience the serenity of relaxing on Mount Pleasant's patio with the beautiful view of vistas. Enjoy the wide selection of meals prepared by their chef. Visit one of the most unique winery settings in the State of MO! Cave Vineyards' claim to fame is a giant cave. The cave is spacious and best to relax with live music paired with structured, stony, soft, rounded, ripe, rich and matured wine. Experience the unique dinner with lightning candles and clink of wine glasses to have a memorable and quite romantic dinner. You will also discover their four popular biscottis; pumpkin, ginger bread and white chocolate chip, cranberry and orange, dark chocolate and dark cherry. What Italians have known; biscotti are excellence for dunking in wine! Dunking these treats is traditional in their family. Cave Vineyards is located in the south eastern rolling hills of Ste. Genevieve County. The grapes are cared for by the Strussion family who owns the property. The secret behind their success of producing outstanding wines are unique soils, micro climate, history of the area and of course the uniqueness of wine and superior quality. Montelle Winery is the first winery in Missouri with a distillery and they also produce famous brandy; apple, cherry, peach and grape. Their wines offer firm berry fruits, easy drinking texture and fruity charm. You will also enjoy fresh, high quality cuisine to complement their wines. They offer a wide selection of salads, pizza, sandwiches and gourmet wraps. You are able to experience the friendly and knowledgeable staff that can help you to choose the perfect wines for any occasion. Montelle Winery's philosophy is to farm their vineyards with respect for the land and environment. That's why there's no doubt their wines are fresh, fragrant, focused and well balanced. A wedding is not perfect without a wine! Wine symbolizes honor, a long and healthy marriage. On St. Patrick's Day most people think of beer, but the St. James Winery in Missouri believes that every day is a great day for the wine lover! Do you know wine brings people together because wine is made for sharing? 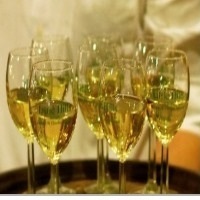 Wine is the special drink for toasts to the newly married, new year, and newly born. 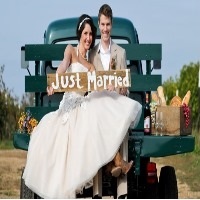 St. James Winery helps make memories extraordinary. Their wines are a family legacy. They believe that their wine is excellent and their reputation has spread throughout the wine community. Today St. James Winery is known throughout the region as "Little Italy of the Ozarks" thanks to Italian settlers who originally planted grapes. Of course after a couple of years the area has another name. Aromatic, age worthy, ample, balanced, bold, bright, complex, easy drinking, elegant, focused, fresh and fruity. Just ask their friendly staff to help you choose a great collection of their wine. Chandler Hills Winery in Missouri is on a hill overlooking the beautiful Femme Osage Valley. The history behind this winery is very amazing and incredible. The tasting room and winery stands on the site of Joseph Chandler's modest cabin. The winery was built during an excavation and many century old artifacts were unrecovered; a shotgun, riffle, stove remnants, and button. These storied relics of Joseph Chandler are on display at the winery. The original cabin foundation was carefully removed and is being used as features of the winery. Work hard, play hard and visit the best winery! Every drop has been cared for by the family that owns the land, works the land and lives there. A family who understands that a good wine begins with the grapes and ends with the people who pour it in their glass. Sugar Creek Vineyards and Winery MO offer different wines to assure you they've made the right choice with a different collection. Dry Wines are vidal blanc, chardonel, chambourcin, chynthiana (norton) and Michael's Signature Red. Semi Dry Wines are la rustica white, birdlegs blush and sunset red. Semi Sweet Wines are boone county white and la rustica red. Sweet Wines are peach hallow, black thicket, raspberry patch and signature port.